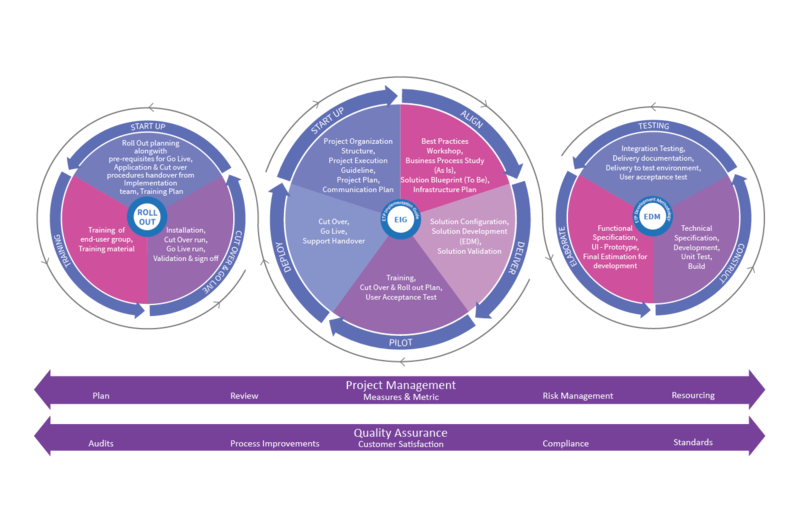 ETP understands that it is not only the right business software that will help the business, it is a combination of good business processes, the right business software, a scalable and reliable technology platform, the right consulting, the right implementation services, and a far-sighted maintenance and upgrade strategy that will do the job. ETP has established the ETP Implementation Guideline (EIG) which enables our customers to capture business requirements, identify improvement opportunities, implement their solutions and manage the change. Our services team has the in-depth product, technology and domain knowledge necessary to help attain these objectives. We offer an established methodology through EIG and dedicated professionals to address the unique needs of the retail and distribution industries. Today, most organisations are concerned about the returns that their IT investments can give them. Therefore, quick, efficient and secure implementation of the business solution leading to visible ROI is critical. The ETP EIG is devised keeping in mind these needs. Our services are designed to quickly leverage your applications in order to derive maximum business benefits in the shortest time possible.